Losing 30 kgs or more is a major achievement. But once you have reached that goal, you might find that your thinner,healthier body needs some additional fine-tuning to make you look great. It is because significant weight loss after a bariatric surgery or otherwise, leaves behind large amounts of excess skin around the abdomen, buttocks, thighs, breasts, arms and face which has lost elasticity. Only a Plastic surgeon can offer body contouring surgeries designed specifically for each patient. These surgical procedures remove excess fat and skin, tighten, lift and reshape the body.It helps your clothes fit better and allow you to participate comfortably in your favourite activities. Abdominoplasty or tummy tuck involves removing of the excess skin and tightening the underlying muscles. An incision is made above the pubic area from hip to hip , sometimes extending into the back. Panniculectomy involves removing any overhanging apron of tissue below the belly button. An umbilicoplasty is also performed concurrently. A belt lipectomy or body lift is a procedure to remove excess skin and lift the thighs and buttocks. It is usually done as a continuation of abdominoplasty , the incision being extended to the belt area in the upper hips and excess skin is removed below the incision. Thighs: A medial thigh lift addresses the issues of excess skin in inner and anterior thighs. It involves an incision in the inner thigh extending from groin to lower down. A number of procedures are available, including breast lift with or without augmentation and breast reduction. Brachiaplasty or tightening of loose skin of arms can be combined with breast procedures or done alone. If the loose skin of face and neck is bothersome, a facelift or a necklift can be done. Successful outcomes from body contouring surgeries are achieved if these following criteria are met. Stable weight for atleast an year. Overall good health with minimal co- morbid conditions like Diabetes and hypertension NonSmoker- Smoking slows down the healing and increases the risk of complicatins.You will be asked to quit smoking 6 weeks before surgery. Nutritionally fit-Deficiencies of protein and vitamins slows down your healing process. 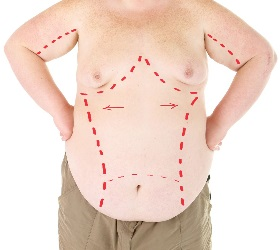 Following body contouring surgery, dressings and bandage will be applied to the incision sites. There may be drains placed inside which will be removed after 48hrs. You will be given a compression garment to be worn for 6 weeks. Your post-surgery activities will be restricted for a couple of weeks which means you cannot take heavy exercises , lifting weights etc. However, walking is encouraged after surgery. A certain degree of soreness and bruising for two to three weeks is common after surgery. Most people can return to work comfortably after two weeks.During the recovery period, you will be monitored by your Plastic surgeon to ensure best results.